Supreme court affirms Edo gov election – Royal Times of Nigeria. 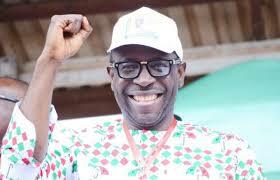 The supreme court has upheld the election of Godwin Obaseki as the governor of Edo state. A seven-man panel of judges led by Walter Onnoghen, chief justice of Nigeria, gave this judgment on Monday. However, it said it would give reasons for its decision on July 24. The court dismissed an appeal filed by Osagie Ize-Iyamu, the candidate of the Peoples Democratic Party (PDP) in 2016 Edo governorship election, challenging the decision of the appeal court which affirmed the position of Obaseki as governor.